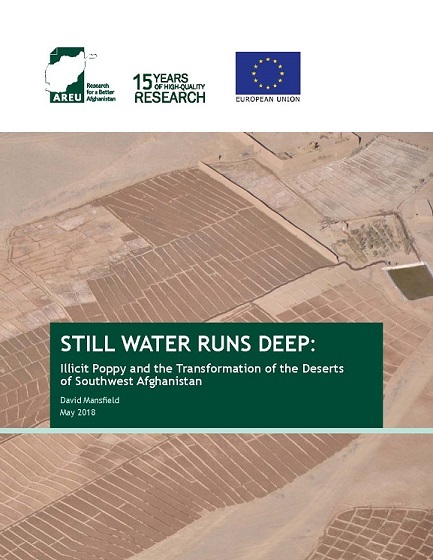 The physical and political geography of the deserts of southwest Afghanistan have gone through dramatic change over the last two decades. Located on the periphery of irrigated lands settled by the Afghan state in the 1950s and 1960s, this area has been at the forefront of technological change in Afghan agricultural production since 2003. With access to improved technologies, including deep wells and diesel pumps, and a buoyant opium price, dry rocky soils were transformed into viable agricultural land. As this paper argues, these former desert areas should not be seen as marginal and remote, but understood as engines of growth integrated into the global economic system. These are areas that have been transformed by improved access to technologies and an entrepreneurial population that has fully exploited the opportunities opium production has offered.